The retired CEO had retrieved the documents from the law firm retained by the company he worked for while he was planning his departure, and instructed the law firm to meanwhile destroy its copies of those same documents (while he was still CEO of the company). According to the judge, in doing so, he failed in his duty to preserve relevant evidence and, in fact, engaged in the intentional destruction of evidence, for which the court can impose sanctions on a party. The executive was only able to avoid harsher sanctions because the court found that the company had only been slightly harmed by the action and there was no evidence of bad faith. In addition, some—even most—of the documents were recoverable. Still, the court pointed out that it cannot ever possibly know what documents were specifically destroyed, and thus it assumed that the company suffered some prejudice. 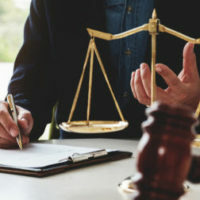 The recently-filed Weinstein RICO action brings to light some of the stringent requirements involved in pleading and proving civil RICO claims, as well as some of the common obstacles that plaintiffs typically face in this type of litigation. Almost all RICO actions are brought under Section 1962(c) because Sections (a) and (b) are heavily misunderstood and difficult to understand, and thus almost entirely forgotten about. Section (a) is primarily concerned with money laundering, and makes it illegal for anyone who has received income derived from racketeering activity to invest that income in any interest in an enterprise. In other words, you can’t use “dirty money” to purchase interest in a legitimate business. The money laundering “cycle” is complete when this dirty money is invested in a legitimate business, and then those investors write checks to themselves or affiliates. However, in order for a plaintiff to sue using this section, they must have been injured from the investment of this dirty money (i.e. not just by the racketeering activity itself). Section (b) is exceedingly complicated because of how difficult it is for a plaintiff to establish standing under it. It prohibits the acquisition or control of an enterprise through a pattern of racketeering, where the RICO enterprise is the “victim” of the racketeers. Thus, a plaintiff has to show what’s known as an “acquisition injury”; i.e. that their injury was caused by the defendant’s acquisition or control of an enterprise (i.e. not just by the racketeering activity itself). In late February, the U.S. Supreme Court issued an opinion on the Digital Trist, Inc. v. Somers case, unanimously ruling that whistleblowers must report any wrongdoing to the SEC, not just internally within their companies, if they intend to seek protection under Dodd-Frank. At Moran, Sanchy & Associates, our Sarasota business litigation lawyers can help protect our interests and help you avoid useless litigation. Contact us today to find out more.